Blue Star Electronics offers either media cleaning or complete shred-destruction on hard drives, data tapes, etc. to guarantee data security and provide end-of-life recycling. After materials are received, we will provide you with a Certificate of Recycling and/or a Certificate of Complete Destruction for your records. 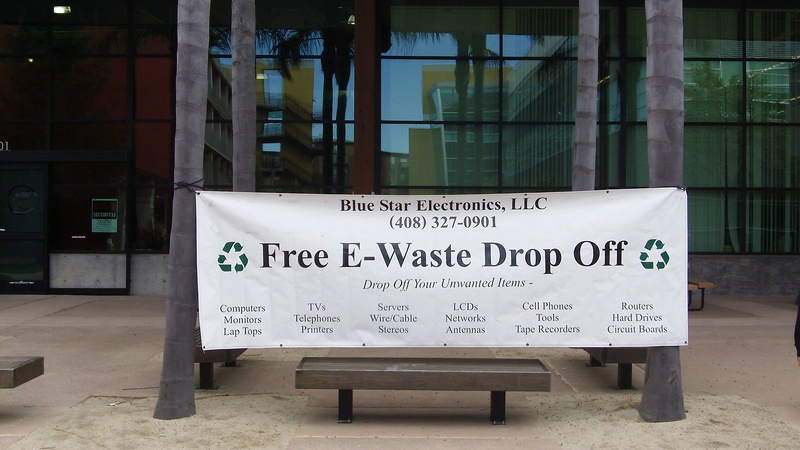 Blue Star assists companies in all industries, small business and Fortune 500 companies, law firms, hospitals, government agencies and banks with the recycling of any obsolete monitors, computers, televisions, servers, printers, and various other types of electronics or technological equipment. 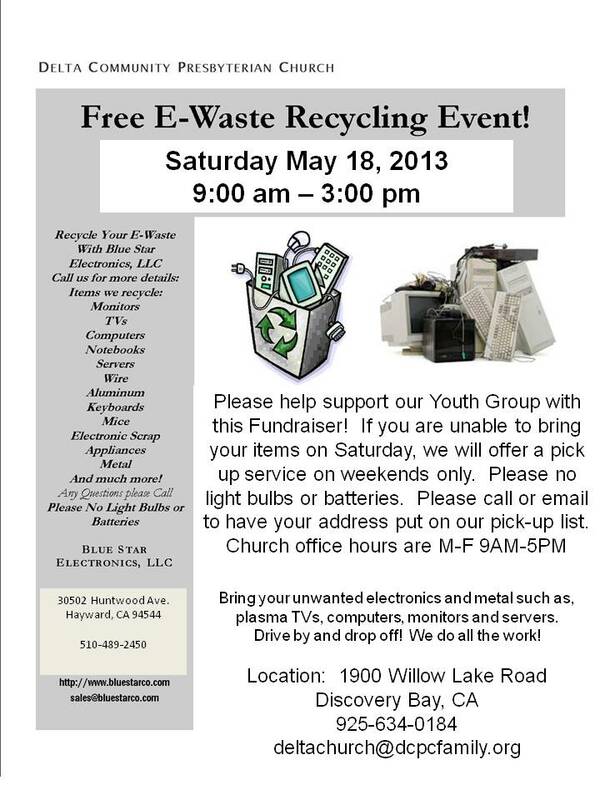 Bring your unwanted electronics for recycling. We will help you unload your car and do all the work for you. It is time to clean that garage and bring your old TV, Monitor, etc. or go to our website for more info.